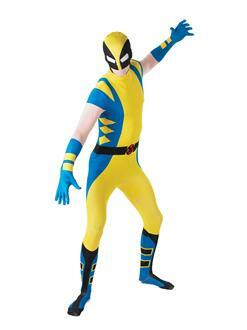 Our Wolverine Skin Suit Costume is beyond cool! This full body jumpsuit comes in the classical X-men colors, made of ultra stretchy material and fastened by a back zipper for quick and easy transformations. We recommend that you buy a pair of claws to look absolutely indestructible!